Limoux is a vibrant market town of around 10,000 inhabitants. The heart of the town is ‘la Place de la République’, a wide and archetypal French square with some fine stone arcading, a number of timber framed houses and full of bars, restaurants and shops. The architecture is medieval and the narrow roads of the old town wind through the inside of some of the original fortified walls of the town. Limoux itself straddles the River Aude with its excellent picnic spots and the banks are lined with grand houses, especially on the eastern side, the so-called Petite Ville or Spanish quarter. Limoux likes to party in a most unselfconscious way and for its own pleasure rather than out of any sense of obligation to entertain the tourists (however everyone’s welcome to join the fun and most events are free of charge). 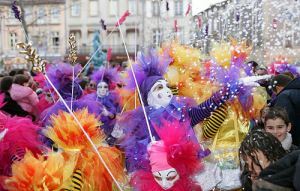 A very musical town, there are concerts and dances on a regular basis as well as markets, fireworks and fetes throughout the year, however Limoux is perhaps best known for its winter festival, the ‘Carnaval de Limoux’, which is one of the oldest and the longest in France running from January through to March. No description of Limoux would be complete without a mention of its excellent wine, which falls under four (AOC) designations: Blanquette de Limoux, Blanquette Méthode Ancestrale, Crémant de Limoux and Limoux, the first three of which are sparkling wines and the fourth is particularly well-known for its excellent Chardonnays. Wine historians believe that the world’s first sparkling wine was produced in this region in 1531, by the monks at the abbey in Saint Hilaire and every bar will serve you a glass of local fizz, priced from just €2 per glass, and on busy nights the bars resound with celebratory noise of popping corks. 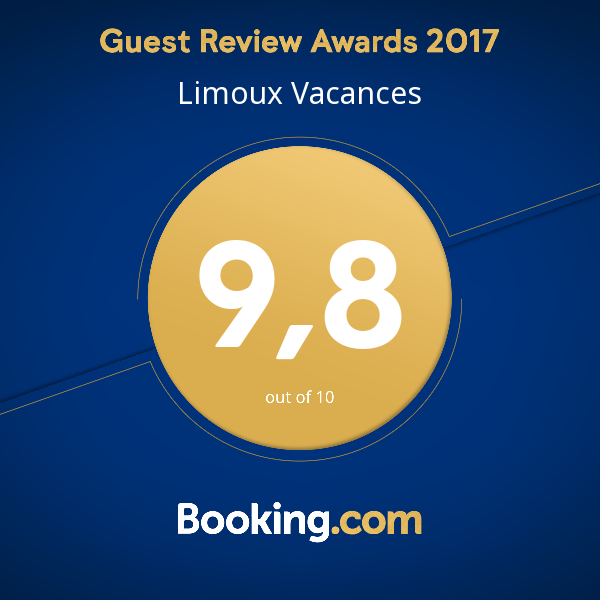 Limoux is also an excellent base for discovering the history of the region and is ideally placed for exploring the coast, the mountains, the Cathar castles and some of the finest walking and cycling country in France. The Canal du Midi and the World Heritage site of Carcassonne are both visited all year round and readily accessible from Limoux by car or on the single track railway with regular trains to Carcassonne for only €1, or further into the mountains stopping at villages on the route for the same price, bikes travel free. Please read on, visit the local tourist information website and feel free to contact us for more information about things to do or to make advance reservations for any activities you wish to undertake during your stay. 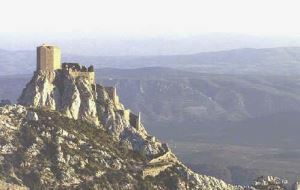 Whether you have a fully-fledged interest in history or simply enjoy the romance of the many Holy Grail / Dan Brown/ Da Vinci code / Kate Mosse fantasies, myths and legends that have built up around the area there are many excellent historical sites including numerous Cathar castles which perch in extraordinary landscapes and offer spectacular views and amazing photo opportunites. For the more energetic visitor there are some beautiful swimming lakes in the area or, if you prefer not to venture too far, an excellent outdoor swimming pool in the town itself which is open in the summer and very reasonably-priced. Cycling, horse-riding, canoeing and paragliding are also popular activities here, as is white-water rafting and hydrospeed, particularly when the melt waters from the Pyrenees swell the rivers in spring and early summer. If you are of a more sedate mindset Limoux still has plenty to offer. Picnic by the river, browse the local shops and markets, discover the various local historical buildings, museums and art galleries, visit some of the many small wine producers based in and around the town who will treat you to a tasting and/or a tour of their caves free of charge, or simply relax in one of the many bars or cafes with a glass of blanquette or coffee and watch the world go by. 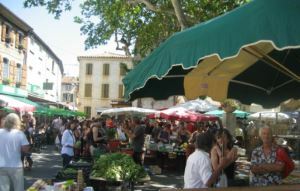 Limoux markets include a large weekly market every Friday morning (or Thursday if a public holiday falls on a Friday). There is also a smaller Sunday morning market most weeks and a flea market (“brocante”) on the first Sunday of each month. An evening market runs until around midnight on Tuesdays during July and August and fruit & vegetables when in season are for sale direct from the producers most mornings at various locations around the town. 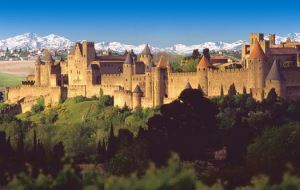 Also worth visiting are the markets in Carcassonne on Saturdays, Esperaza on Sunday mornings and Mirepoix on Mondays. The entire Occitanie coastline is accessible within 1-2 hours drive. 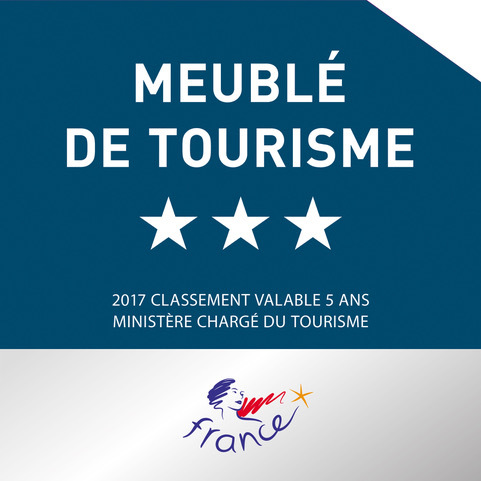 The Plages.tv website has a comprehensive guide to the regions beaches. 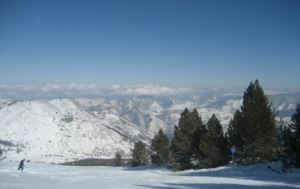 Limoux is well-placed for ski resorts with a large number to choose from ranging from one to two hours’ drive. Mijanes, about 1 hour, small quiet resort, snow park, 13 runs, 5 lifts. Les Angles, about 1.5 hours, the 2nd largest resort of the region, will probably suit the more advanced skiier as half its runs are red. It is the most expensive of the pyenees resorts but has many facilities including an ice rink, swimming pool, disco, cinema, ice diving, paragliding & kite surfing. Font Romeu & Pyrenees 2000, these are next door to each other and are about 1.75 hours, plenty of facilities and quite busy. Ax-les-Thermes, about 1.5 hours, Station of Ax 3 Domaines extends over 80 km of trails with a maximum altitude of 1400m to 2300m, 194 snow canons, 9 green runs – 10 blue runs – 10 red runs – 7 black runs.